The 9th District seat remains linked to the need for ethics reform. After all, it’s the seat that former Senate Majority Leader Dean Skelos held for more than 30 years before he was convicted last year on corruption charges. 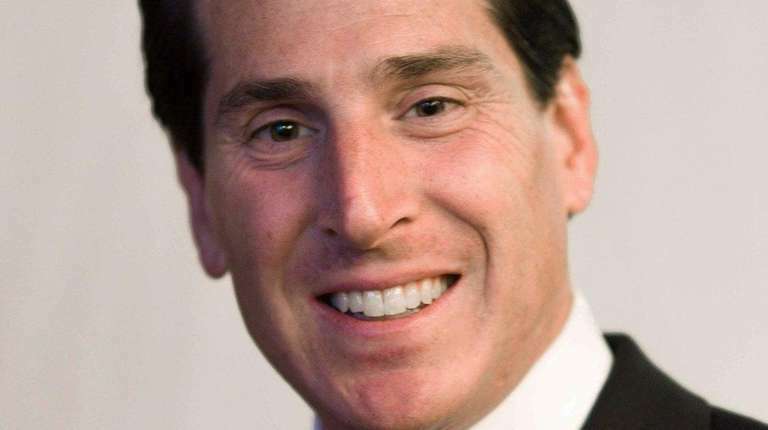 When the seat’s current occupant, Long Beach Democrat Todd Kaminsky, won a special election in April, he recognized the moment’s symbolism and made ethics the centerpiece of his first few months. His passion is undiminished. A former federal prosecutor, Kaminsky, 38, says there’s much more to do. He believes in public campaign financing, term limits, banning outside income, and closing the LLC loophole that allows interest groups to avoid contribution limits. To these he adds a more innovative proposal: He would expand local district attorneys’ power to root out corruption by making lying to local law enforcement a crime, as it is on the federal level. Kaminsky understands his district, especially the ongoing woes of homeowners still rebuilding four years after superstorm Sandy, and he touts legislation he co-sponsored as an assemblyman to require regular and detailed reporting from the New York Rising program. His environmental credentials are sound. Kaminsky worries that Long Island’s aquifer is being overpumped in some places. And he says Nassau County should seize the potential opportunity to divert the Bay Park sewage plant’s treated effluent through an aqueduct under Sunrise Highway to the Cedar Creek sewage plant, where it would be dumped into the ocean through that plant’s outfall pipe, instead of into polluted Reynolds Channel. That would save tens of millions of dollars by not having to build an outfall pipe for Bay Park. Republican Christopher McGrath, 57, is a personal-injury attorney from Hewlett who lost to Kaminsky in the special election. McGrath says he does not see a scenario in which his law work would conflict with his legislative work, a lack of insight that is a source of concern. McGrath bewilderingly tries to tie Kaminsky to Albany corruption, and is wrong in saying that limits on outside income wouldn’t help solve Albany’s ethics problems. McGrath embraces the GOP talking points that his opponent is part of a New York City-dominated Democratic machine that would spell trouble for Long Island. “The city’s way of life is different than my way of life,” McGrath says. His rhetoric that a Democratic takeover of the Senate would let Mayor Bill de Blasio “get his hands on our district,” is divisive and untrue. McGrath agrees with Kaminsky that local industrial development agencies must be reformed, but he lacks workable solutions on some issues and won’t commit to a solid position on the Long Island Rail Road’s third track. Kaminsky supports this vital project. Both candidates want to make permanent the property tax cap, but Kaminsky sometimes seems more concerned about shoring up public union support than about taxpayers. He should always put taxpayers first. And he should rethink his automatic rejection of state legislation that could repeal the county guarantee that forces Nassau to pay the entire amount of tax-assessment overpayments to school districts and other bodies, one way the state could ease Nassau’s financial troubles. In his first full term, Kaminsky’s most important job is to remain loud and strong on ethics. His background makes him ideal to lead the charge toward a corruption-free Albany.